If you’re buying or selling a car soon then you might have to wait up to two weeks for cheques to clear, the Payments Council has warned. Because of Easter, the Royal Wedding and May bank holidays falling so close together the amount of working days has been reduced, so cheques paid during the end of April may take a lot longer to clear. Additionally, with the bank holidays affecting postal services too, cheques sent in the mail may end up taking even longer. 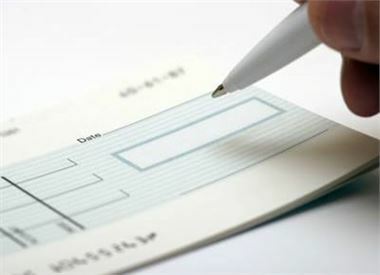 Cheques normally transfer after two working days, with the funds cleared and accessible after four, though they can still bounce up to six working days after being paid. With the bank holidays, people paying or being paid by cheque could be waiting a long time for their money to transfer. The Payments Council is asking those who would normally pay by cheque to consider an alternative payment method during this busy period, such as the faster payments system. The Payments Council has said that the bank holidays will not affect the faster payments system, which usually clear on the same day they are made. Gary Hocking, acting chief executive of the Payments Council, said: "It is unusual to get so many bank holidays in such a short space of time so it makes sense to think about what bills and invoices you might be due to pay in the next two weeks - and to consider if you have to make alternative arrangements for any of them. "With a wider range of payment options available to us than ever before, taking five minutes to check up on your ways to pay can help you make sure that you aren't affected."